An upcoming public Nintendo 3DS event will feature more than 10 playable games and many more in video form. Nintendo's first effort in the battle to show consumers how the 3DS works, as it can't be truly experienced through video, is an upcoming public event to take place in Japan called Nintendo World. Nintendo has revealed which games it'll be featuring at the event, which could hint towards the titles most likely to be available at the system's launch. Notable games to be shown in video form will be Star Fox 64 3D, Kingdom Hearts 3D, Paper Mario, Animal Crossing, and Mario Kart. Nintendo will also be giving the public a look at its suite of augmented reality titles that come pre-installed on the 3DS, in addition to showing off the 3D picture-taking abilities of the 3DS's cameras. Children under 6 years old will not be allowed to use the 3DS at the event, due to questions about 3D's effects on developing eyesight. Nintendo is apparently recommending that kids under 6 not play the 3DS at all. If the playable titles available at Nintendo World give us an idea of what the 3DS will launch with, there should be a decent selection to choose from when the handheld is released in 2011. The Nintendo World 3DS demo will take place from January 8-10, 2011, and hopefully will come with the reveal of more information about the games it'll feature. Nintendo is holding a press event for the 3DS outside of Japan in multiple locations on January 19, but hasn't revealed what it'll show or say there yet, or made any plans known for an overseas public event. 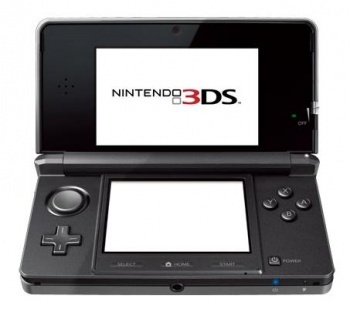 The 3DS will be available in Japan on February 26, 2011 for Â¥25,000.